A favourite album of mine is one that you may not have heard of, Stranglers bassist JJ Burnel’s 1979 solo project ‘Euroman Cometh’. I originally bought it way back when because I was a big fan of the band and wanted to own everything that Burnel and the other band members put out. At the time I remember being somewhat non-plussed by that album. It was, of course, bass heavy but also political and other worldly; and as a teenager at the time I just didn’t appreciate it. In the intervening years, however, I have come to appreciate that album more and more for its genre defying avant garde approach; it was an album out of time…and has remained somewhat ignored and obscure. Which is why I was very pleasantly surprised to see it turn up on one of The Oscillation’s Demian Castellanos’s excellent mixes recently. I thought no more about it at the time, but as soon as I heard his new album, ‘Monographic’, I thought that here was an album that has come as close to Burnel’s offering as I have heard: and this makes me very happy. There is something about the spirit of ‘Monographic’ that has that same mixture of experimentation, attitude and instrumentation that makes it irresistible for me. 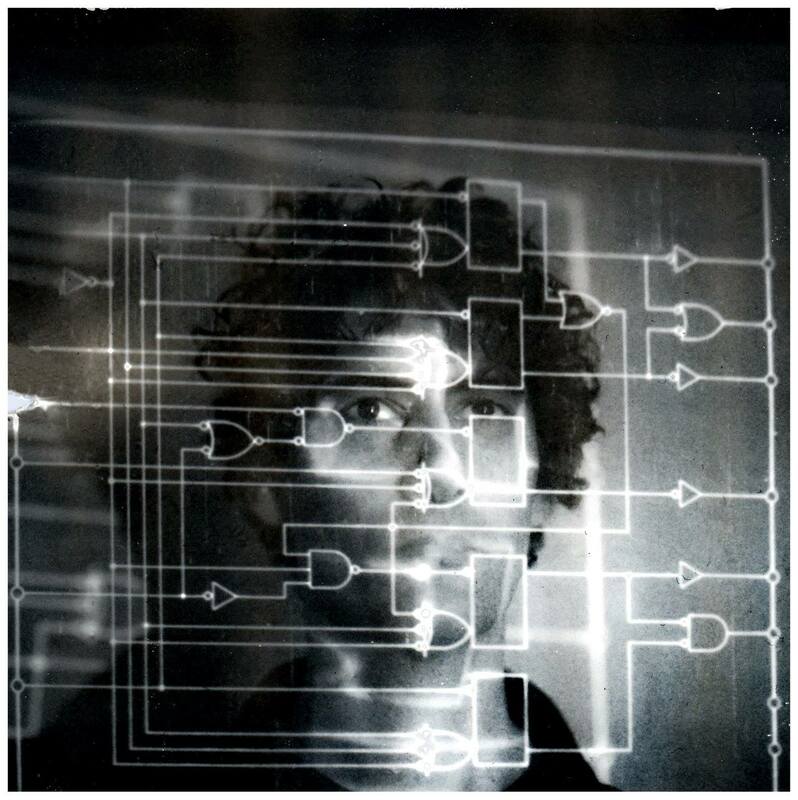 The Oscillation is effectively Castellanos’s project, and he as been putting out music under the name since around 2006. His influences are so wide that you never quite know what you are going to get, which can be something of a two-edged sword when listening to a new album for the first time since is raises the question as to whether the listener is going to be on the same page as the musician. From the first bars of ‘Monographic’, I was convinced I was as it gets underway with the title track with its cold detached beat driving the music which is often dense and chaotic, occasionally becoming resolved into something more simple before heading back into the sonic haze. This is a track that tells me that I’m going to be in for a hell of a ride with this album, but what a ride it is going to be. ‘Take Me To The Moon’ has a post-punk era Stranglers feeling to it, reminding me of ‘Five Minutes’ b-side ‘Rok It To The Moon’, this is another heavy and dense track that contains more ideas in it than most people fit into a box set. This track explains to me why I like The Oscillation so much. Most of the sounds and ideas here are relatively light and basic, yet put them together and you have something far more complex and interesting. After such a frenetic start ‘Let It Be The End’ takes it down a few notches beginning with a simple plaintiff lyric. This is a much softer and warmer track and for me points to how Castellanos is developing as a songwriter. There is patience and maturity here which adds greater depth to the number and gives the album greater perspective. ‘Truth in Reverse’ is a monumental spacey psych track which pounds its way into your consciousness, snagging itself on your synapses as it goes. The relentless drum beat of ‘Monographic’ is back, but where as that was cold and precise, this is hard and fuzzy. Around it Castellanos weaves a melange of heavily treated guitar, droning vocal and siren synths. It is a track that sounds as if it is leading into the jaws of the apocalypse, and with the next track ‘Another Attack’…we may just have got there. This is perhaps the most immediate on the album, a really powerful and high-paced attack on the senses which leaves you breathless as there is just so much going on in there. As ‘Another Attack’ segues into ‘Lonely People’ you feel some relief that the bombardment is subsiding, and this helps heighten the feelings of absence and isolation that pervade this track. While it is less dense than those that preceded it, it is only for a few moments towards the end of its nearly nine minutes can it be described as sparse; and it still contributes to the overall feeling of claustrophobia that this album has thus far brought. Closing the regular set is ‘Alignment Zone’ (the CD has three bonus tracks on it, see below), and is a much more meditative piece that enables the listener to process what has gone before. The darkness is certainly still there, but added to it is a dystopian brooding that replaces the density and intensity of the rest of the album, perhaps encouraging us to take time out from the all-pervading noise of life and find time to reflect…is this what the alignment zone is I wonder? If so it certainly had the desired effect for me as I found myself, especially with the extended version, musing on the fullness of existence and the need for space and time to think. This is The Oscillation’s most complete album yet. It is dense and complex, and, for me, is quite unique in its sound and approach. Yet it somehow continues the theme of the key albums I’ve reviewed this year so far (Henge, Cavalier Song and Pop. 1280) of being dark, dystopian, and innovative; difficult and yet very rewarding through close listening. We live in strange and perplexing times that require creative and challenging artists to act as ciphers for us…I never expected one of those codes to be channelling ‘Euroman Cometh’ though. ‘Monographic’ is released on the Hands In The Dark label on the 11th of March 2016. Demian Castellanos (guitar/vocals) and Valentina Magaletti (drums) joined by Tom Relleen (bass) and Cathy Lucas (keys).